Parietal Lobe: The brain is made of the four lobes of the cerebral cortex in the brain. The parietal lobe is the major lobe in the brain. The parietal lobe is located over the temporal lobe and back of the frontal lobe and the central sulcus. The parietal lobe integrates sensory information with numerous modalities, including spatial sense and proprioception, the main sensory receptive region for the sense of touch in the somatosensory cortex, that is exactly posterior to the central sulcus and the dorsal stream of the visual system. The major sensory inputs from the skin such as temperature, touch and pain receptors relay throughout the thalamus to the parietal lobe. 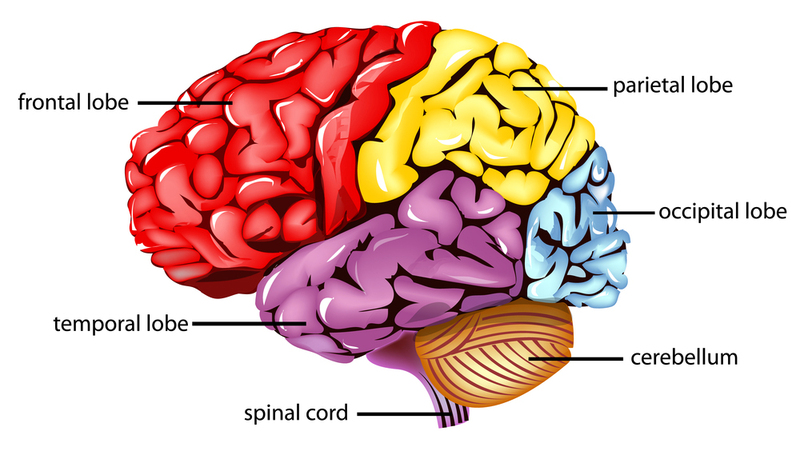 Numerous areas of the parietal lobe are necessary for language processing. 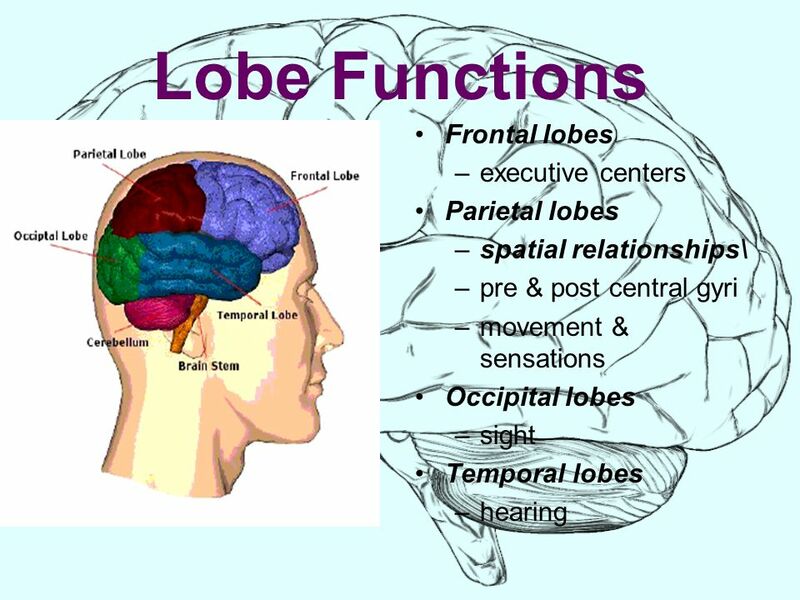 The superior and inferior parietal lobule are the primary areas of the body or spacial awareness. A lesion usually in the right superior or inferior parietal lobule commences to hemineglect. The parietal lobe is described by the three anatomical landmarks: The central sulcus divides the parietal lobe from the frontal lobe; the parieto-occipital sulcus divides the parietal and occipital lobes; the lateral sulcus is the most lateral boundary, dividing it from the temporal lobe. The medial longitudinal fissure separates the two hemispheres. Inside each hemisphere, the somatosensory cortex serves the skin area on the contralateral surface of the body. Posterior Parietal Cortex coordinates movements and spatial reasoning play a vital role in attention to the new stimulus. Postcentral Gyrus area is the primary somatosensory cortex, which obtains sensory information and loads it on a sensory homunculus. This area is also designated to as Brodmann Area 3. Inferior Parietal Lobule is capable of assessing facial expressions to judge emotions. It also assists in processing language, mathematical operations, and body language. Superior Parietal Lobule assists in the determination of one’s own spacial orientation as well as of different objects such as addresses and roads. It gains significant input by hand, that is, it supports the coordination of fine motor skills. Primary Sensory Area where the impulse from the skin is obtained and interpreted, such as cold, warmth, touch, and pain. The parietal lobe is known for sensory perception and integration, including the taste, hearing, sight, touch, and smell. The parietal lobe is home to the brain's primary sensory area, an area where the brain interprets input from other areas of the body. Differentiating between two points, even outwardly visual input. Graphesthesia – recognizing the writing on the skin by touch alone. Localizing touch: During you touch an object with any part of your body, your parietal lobe empowers you to feel the sensation at the site of the touch. Integrating sensory information from maximum areas of the body. Visuospatial navigation and reasoning-during you see a map, follow directions or check yourself from tripping over an unexpected obstacle, your parietal lobe is concerned. The parietal lobe is also necessary for proprioception—the ability to determine where your body is in space, including in relation to itself. For example, touching your finger to your nose without the assistance of a mirror is a function of the parietal lobe. Assessing shape, size, and orientation in space of both visible stimuli and objects you remember encountering. Mapping the visual world- specific regions in the parietal lobe serve as maps to the visual world. The parietal lobe damage can lead to irreversible consequences. The prognosis depends on the site of damage, how severe the injury is and if treatment is possible or not. The care may include occupational, speech and physical therapy. Individual diagnosis and treatment support other regions of the brain to compensate. The 3 specific syndromes commonly found in patients fighting parietal lobe damage. Gerstmann’s Syndrome is a collection of symptoms that occur as a result of a damaged parietal lobe prevailing in the left hemisphere. The patient is marked struggling with writing, arithmetics, language, perception logics. Balint’s Syndrome has occurred on both sides of the parietal lobes. It diminishes motor skills simultaneously with visual attention. Voluntary eye movements may grow weak in the patient. These type of patients is not able to integrate all the attributes of a visual picture and may similarly be inadequate to manipulate an object in the inadequacy of a visual stimulus. If the right parietal lobe damaged, the strength to care for one’s own body is diminished as the patient is incapable to notice for at least one side of the body. The ability to draw is similarly diminished.